While we carry an extensive inventory, some things must be built to order. Trusses, I-joists, windows, and doors are just a few of the items we can have built to your specific needs. Special orders have a minimum required lead time that varies, depending on the item being ordered. Be sure to factor the lead time into your order cycle so the goods are onsite when you are ready for them. Many special orders require a deposit at the time of order, are non-cancelable and cannot be returned for a refund. You must sign a Special Order Authorization as evidence that you acknowledge and understand this policy and authorize Iverson’s Lumber to place the order on your behalf. You will be responsible for full payment of the special order if it cannot be returned. and it has not been modified, cut, installed or removed from protective packaging. While we make every effort to be complete and thorough in our estimates, they are still just estimates, so they are not binding. Our estimates are designed solely to provide the contractor/consumer with a rough estimate of the amount of material used in the given project. The material estimate will be based on calculations or data provided by the contractor/customer and such estimate assumes, among other things, normal and typical building and construction techniques. The actual amount of material used may vary from the material estimate due to a number of factors. Consequently, no representation or warranty has been made that the actual amount of material used will not vary from the estimate. Be aware that the best estimates and quotes fall apart when you have delays and start making changes. The later in the process you make changes, the more they can cost. You will need to fill out an Iverson’s Lumber Credit Application and submit it for approval. The Credit Application documents the agreement between you and Iverson’s Lumber about payment terms, service charges, payment due dates, and other items as stated on the application. It also allows you to list those people who are authorized to make purchases against the account. For your convenience, the following forms are available for download to be emailed or faxed to our credit department (248) 887-2975. Please contact our Credit Department. Iverson’s Lumber needs a copy of a Notice of Commencement for your project. The Michigan Lien Law requires a Notice of Commencement be present on each construction site. A Notice of Commencement provides valuable information for suppliers, subcontractors, and laborers about the job. Normally, the Notice includes the name and address of the owner, the name and address of the General Contractor (if there is one), the legal description of the property, and the name and address of the designee if there is one. A designee is a person or institution designated by the owner to deal with any and all legal matters pertaining to the project. 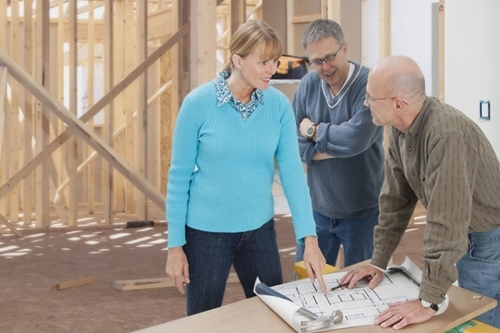 The law does not allow the General Contractor to act as the designee.